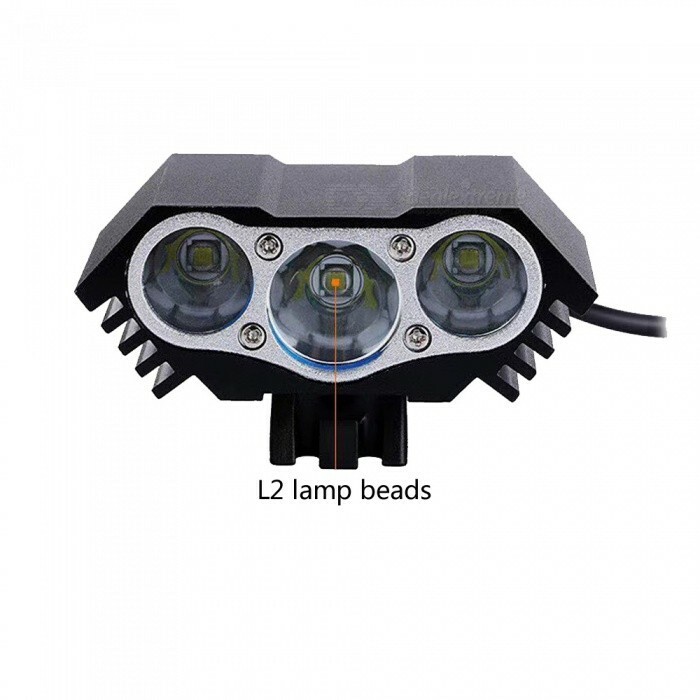 Use 3 XML-L2 lamp beads, good heat dissipation, high brightness, and good condenser effect! 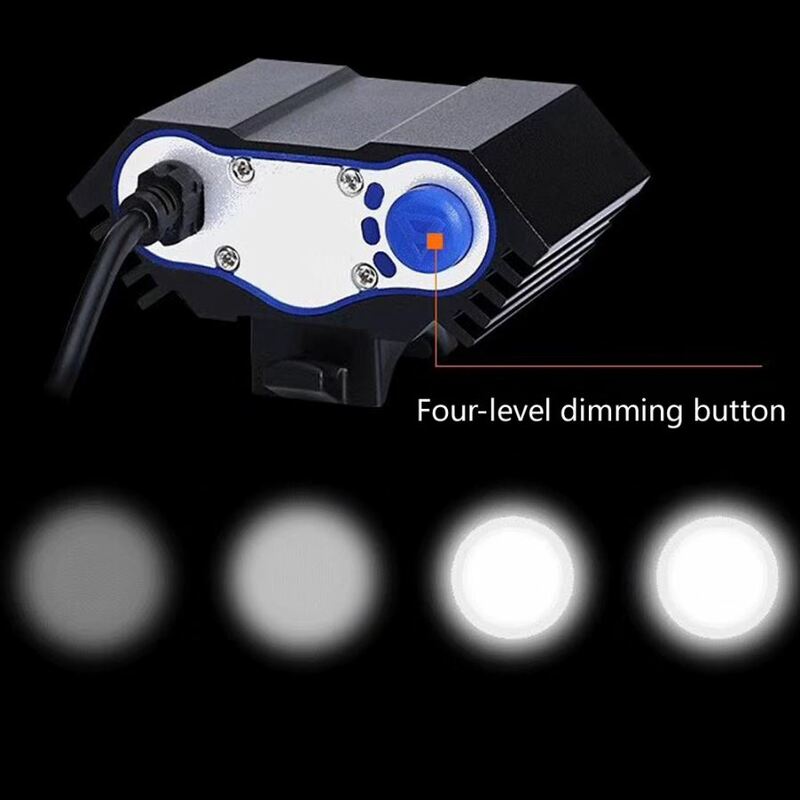 Up to 3600 lumens, wide range of illumination, suitable for riding, lamp life of more than 10 hours, good quality can withstand inspection! 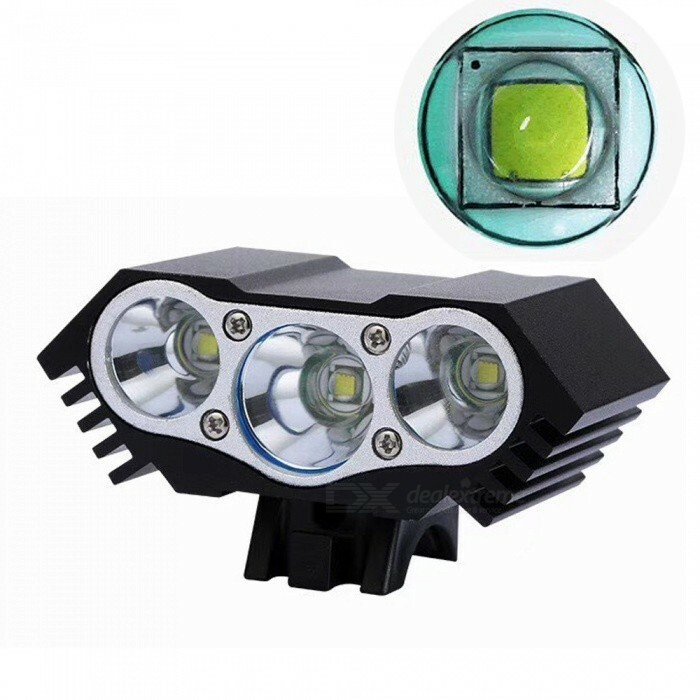 Made of high quality aircraft-grade aluminum alloy, the surface is treated with hard polar oxidation, which is sturdy and durable! 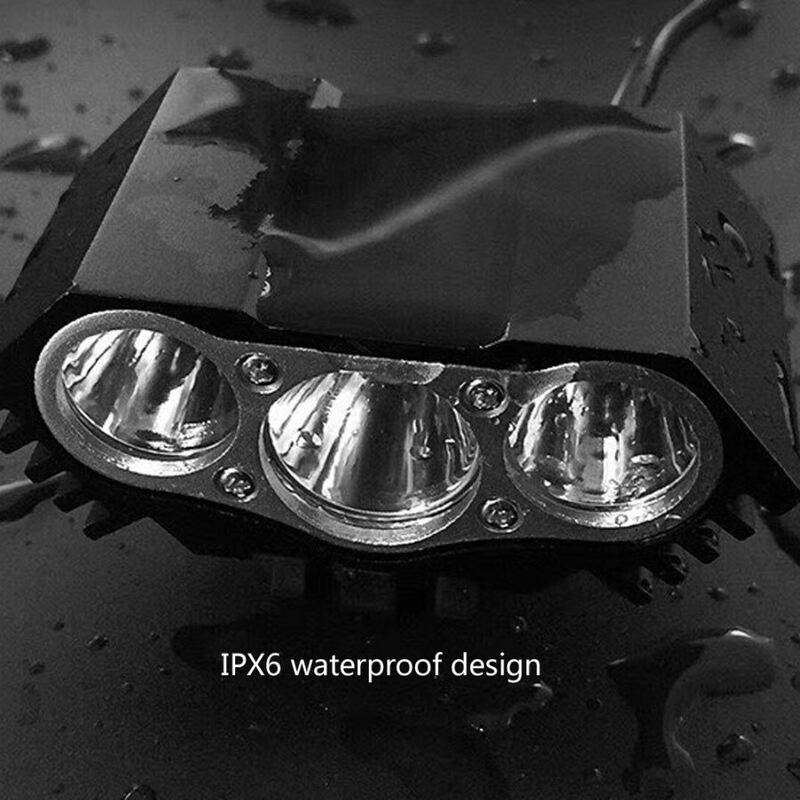 IPX6 waterproof, rain or shine! 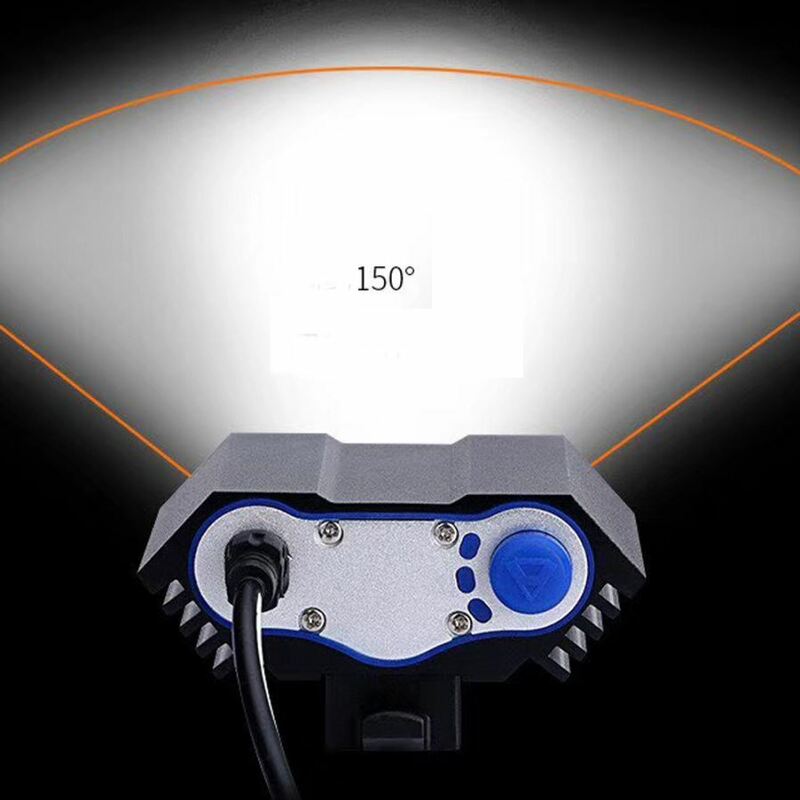 With high-capacity battery pack and charger, it is more convenient to use! Provide you with full light at night ride and be ready for unexpected situations! 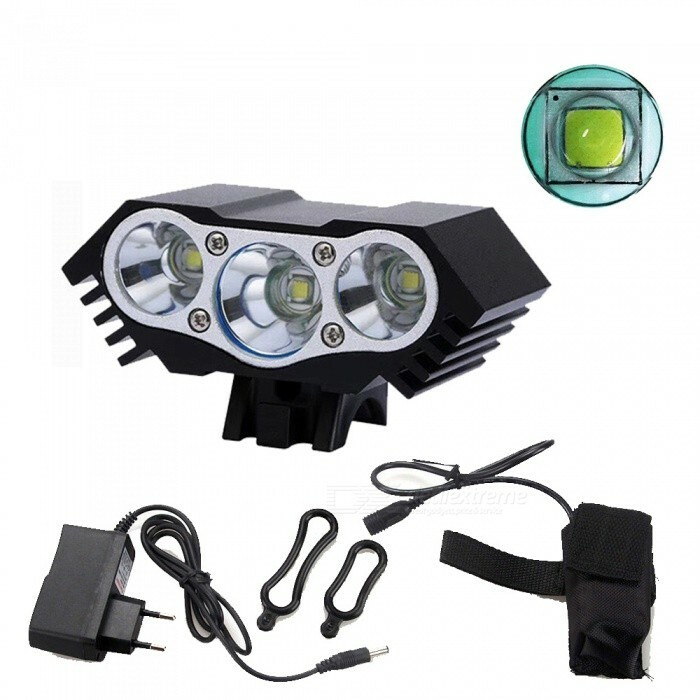 The light body is light, long-range light, styling mad fighter cool! 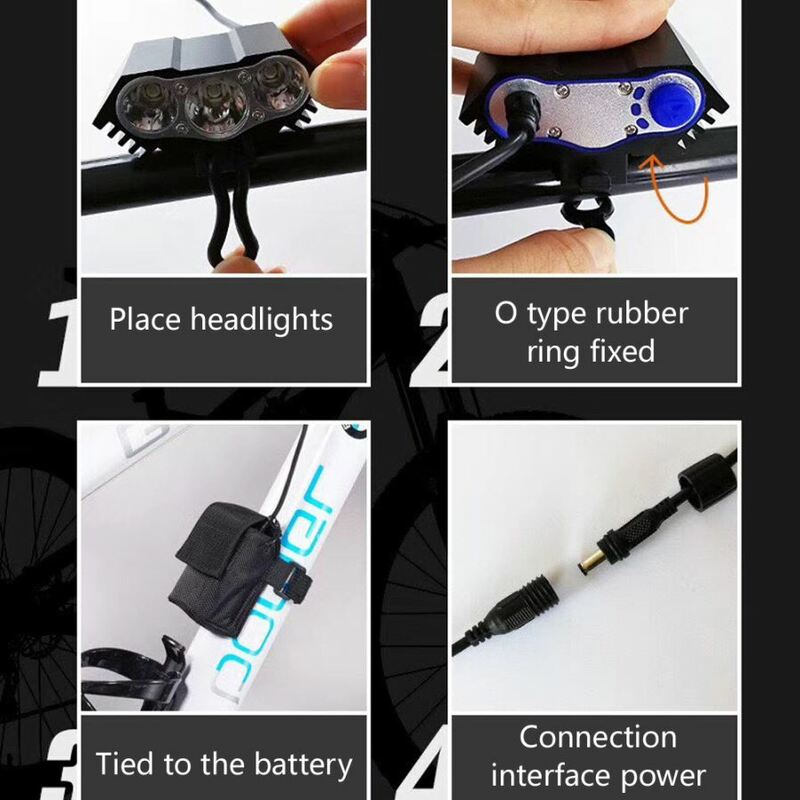 It is the best choice for riders! 1, if the battery is not placed for a long time. 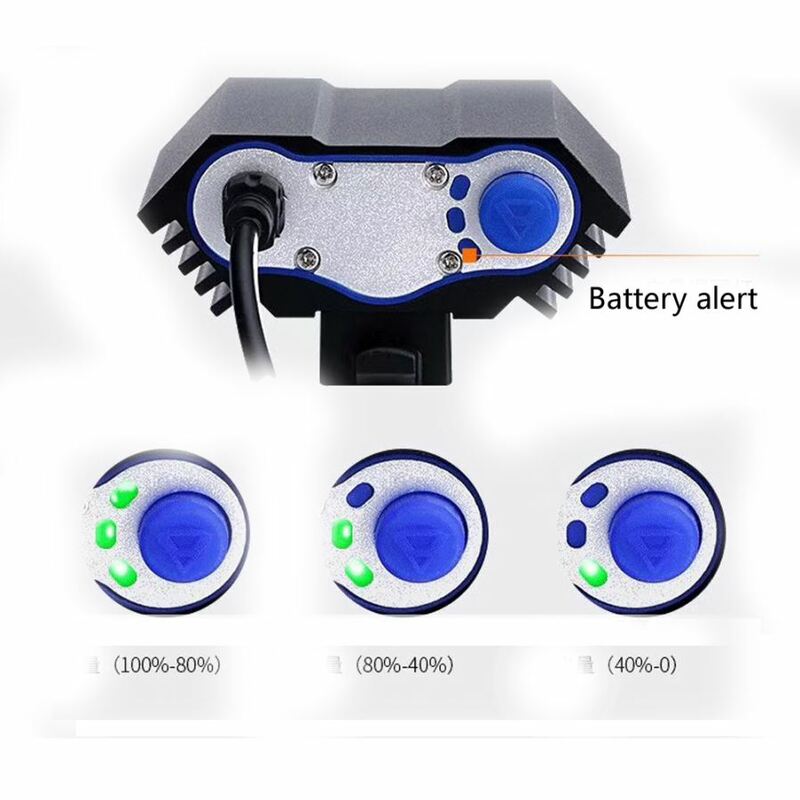 The battery&apos;s self-discharge will run out of charge and cause over-discharge, so keep the charging frequency at least once a month. 2. 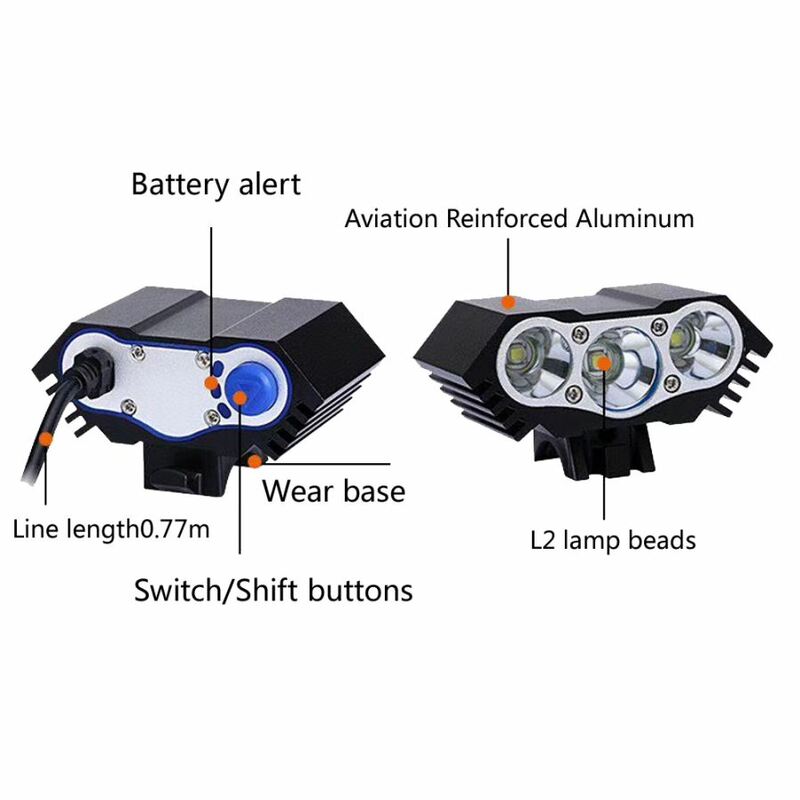 If the indicator light of the vehicle light shows that the battery is low, then do not turn on the light after it is automatically turned off. Otherwise, the battery may be damaged.